I am one of those person who needs to snack. Three square meals a day? Yeaaaaaaah, that's not going to work for me. Smaller meals and regular snacks? Now we're talking. But when snacks are this good how can you really blame me? 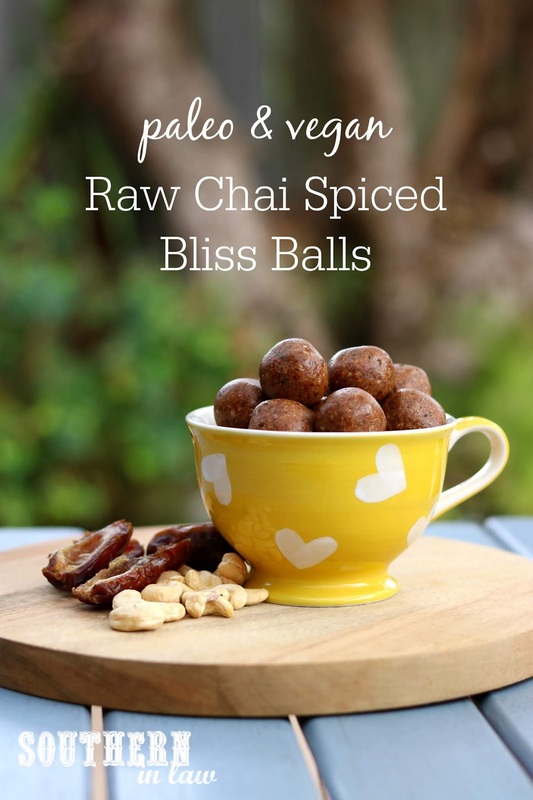 These Chai Spiced Bliss Balls are one of my current favourite snacks. They are super easy to make and seriously delicious to eat - and also easy to customise so you can use whatever ingredients you have in your pantry! Whenever I head out for the day, usually a little container of these comes with me - ready for whenever I feel like a snack. They're waste free (unlike store bought bliss balls and all of their plastic wrappers/packaging), cheaper to make and so much more delicious because you can add as much or as little spice as you like. Add all of your ingredients to a food processor and process until combined. It will take a while - but you'll know it's ready when your mix starts to come together. If your mix doesn't seem to come together, add a few drops of water until it begins to clump together. 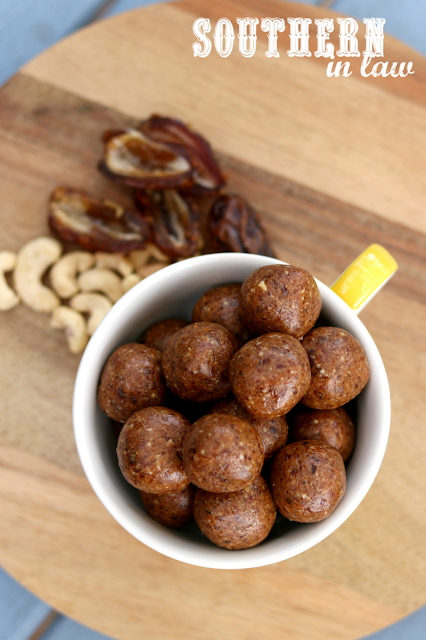 Once your mix is done, roll out your bliss balls, rolling about a tablespoon of mix at a time. Enjoy your bliss balls immediately, chill in the fridge to eat later (we prefer ours chilled!) or freeze to defrost and enjoy later (or, if you're like me, eat straight from the freezer). 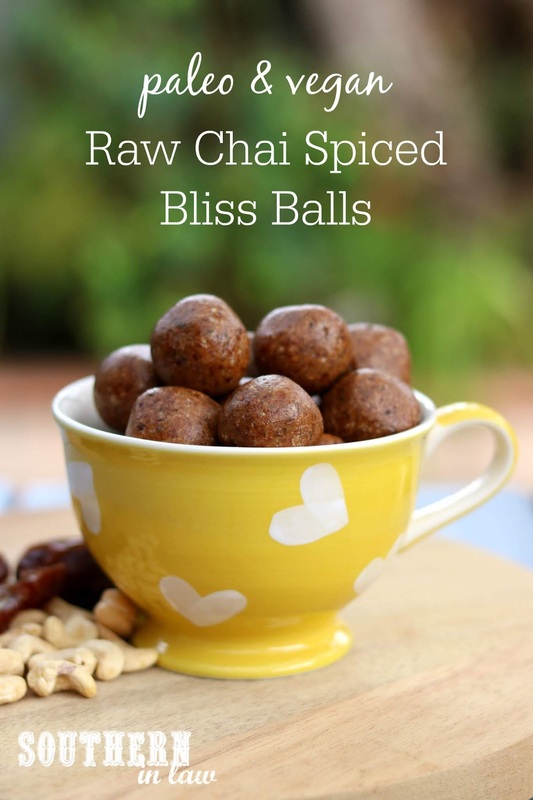 These bliss balls will keep in the fridge in an airtight container for a month or more. *I use both fresh dates or dried dates, depending on what I have. I find dried dates are cheaper and work just as well! If your dates are really moist, you may need to add a few teaspoons of coconut flour or some extra flax/chia seed to bring the mix together. **Don't have cashews? You can use just about any other nut - or even sunflower seeds. I also really like almonds, macadamias or brazil nuts instead of the cashews. But tell me, are you a snacker or a three square meals kinda person?